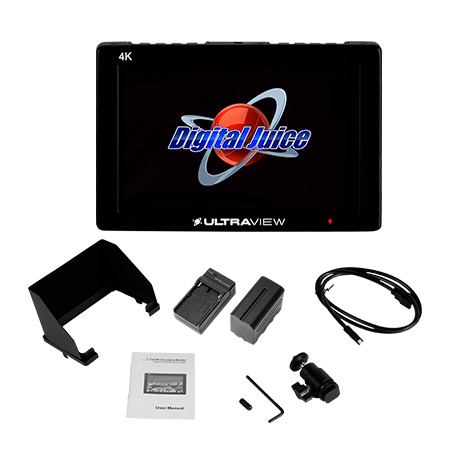 Introducing the Digital Juice 4K UltraView, an affordable, high quality external camera monitor, that can accommodate the frame rates and resolutions of virtually every 4K & HD and DSLR camera currently on the market. The easily portable 7 inch external monitor has a compact design which makes it an essential tool for on-the-go videographers and photographers and is perfect to be used in the studio or on location. 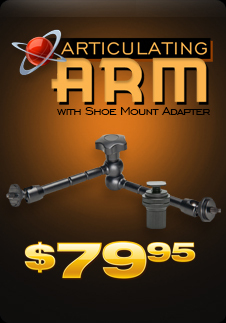 Easily mount this external Ultraview monitor directly to the top of your camera using the provided standard hot shoe mount or use our articulating arm or mini clamp to mount it to a variety of other positions, making it dependable and very versatile.With it ultra high resolution capability you can easily and smoothly transition between multiple formats like HD and 4K, working well with most DSLR cameras because of its universal HDMI input. 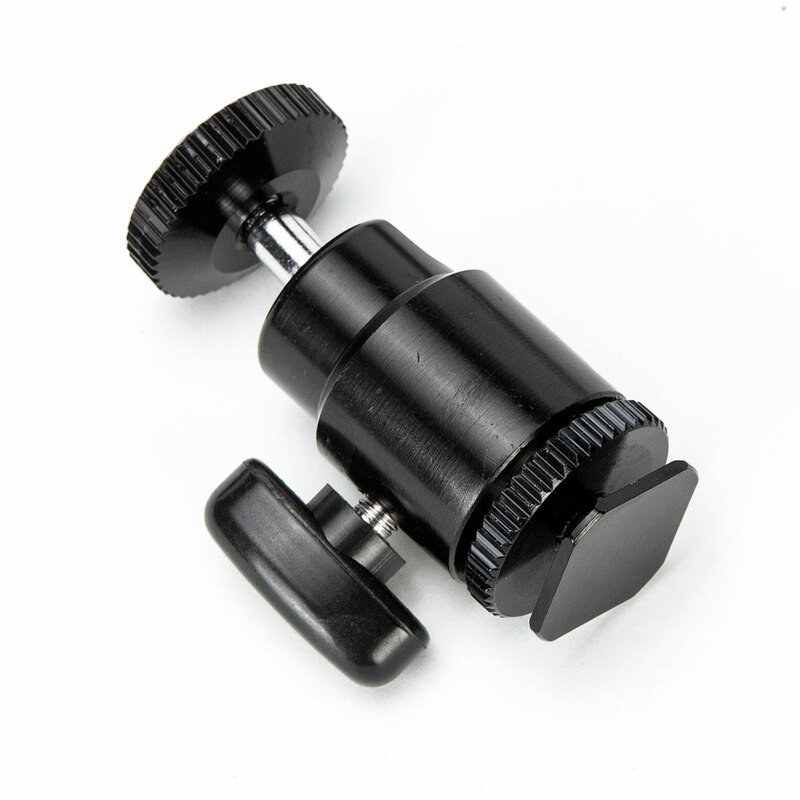 Perfect for beginners and professionals alike, you will never go to a shoot without one! Transitions easily between multiple formats including HD and 4K. 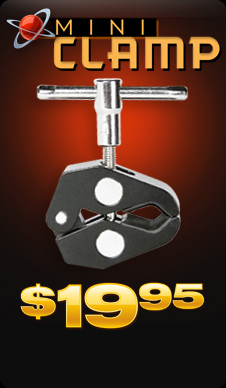 Universally used on most consumer and production equipment. Very popular style battery. Available everywhere. Various modes to help focus and dial in colors such as Histogram, Magnification. 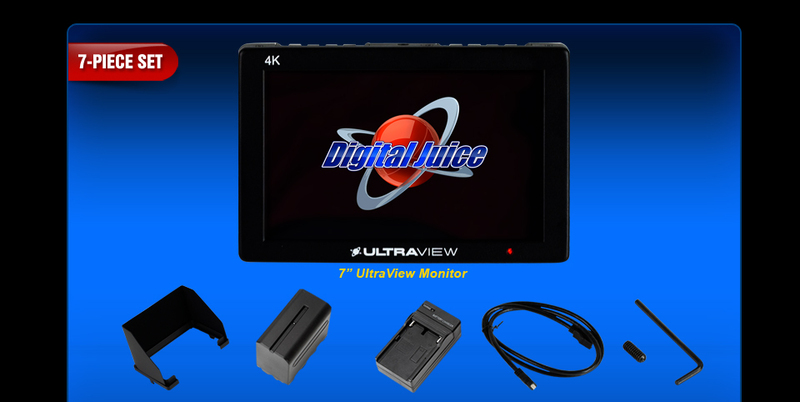 The Digital Juice 4K UltraView can display signals without scaling, while it scales higher and lower resolution content to fit the screen. The IPS screen allows for off-axis viewing of 80° up/down/left/right, and features a brightness of 450 cd/m2 with a contrast ratio of 1200:1. The monitor incorporates an HDMI input and output. 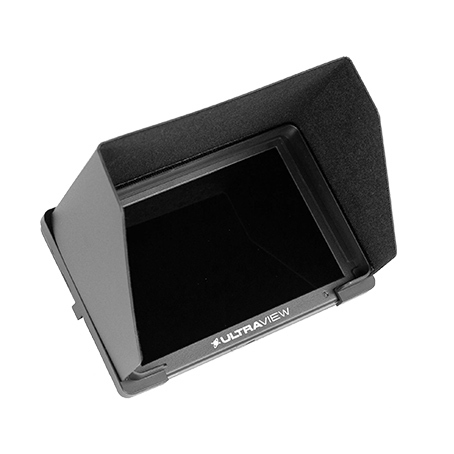 The T756 features useful functions into its small size including peaking, zoom, pixel mapping, anamorphic de-squeeze, frame lines, markers, and image flip. 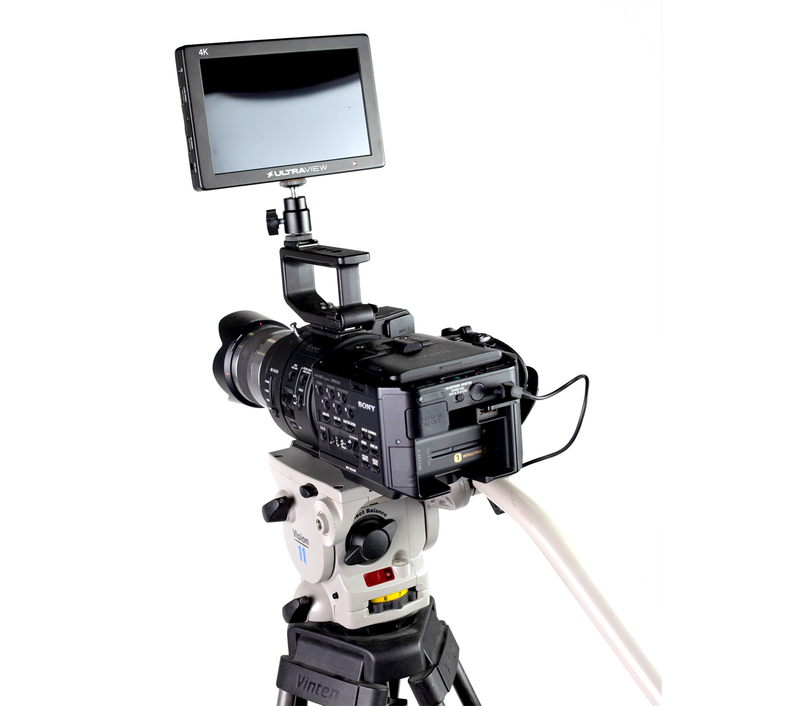 The monitor includes a Mini HDMI to HDMI cable, sunshade, shoe mount adapter, and L-series type battery plate. . The compact and portable design of this 7" monitor makes it an essential tool for on-the-go videographers and photographers. You can frame the action and pull focus with more confidence when using this affordable yet quality high-resolution monitor. 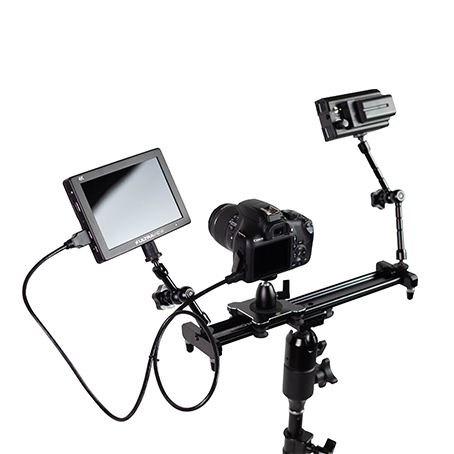 You can mount the Ultraview monitor directly to the top of your camera using the provided standard hot shoe mount Or mount to a variety of other viewing positions, such as the leg of a tripod, using an articulating arm and mini clamp combination. Your monitor is powered cable-free with the included rechargeable 7.4v 2,700mAh lithium ion battery. 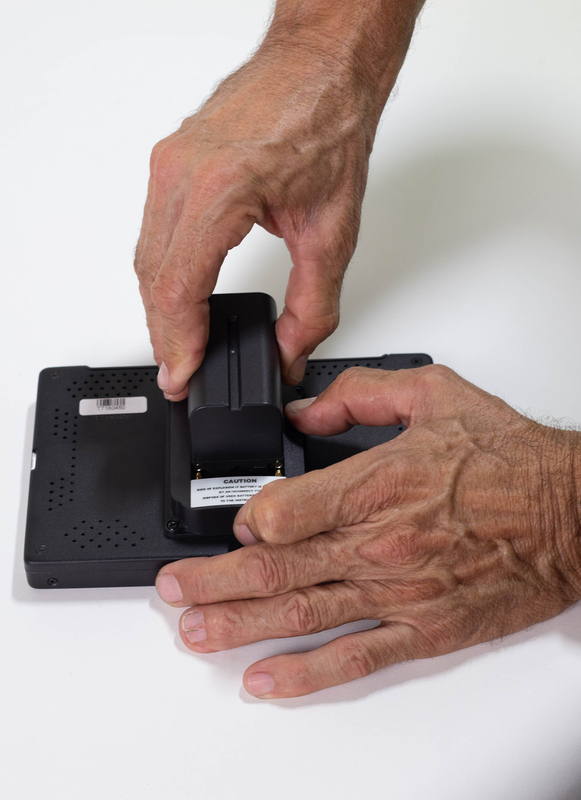 The package includes one battery and a battery charger. These are standard Sony-style NP batteries. And for convenience, these are the same batteries used for our MiniBurst LED lights. 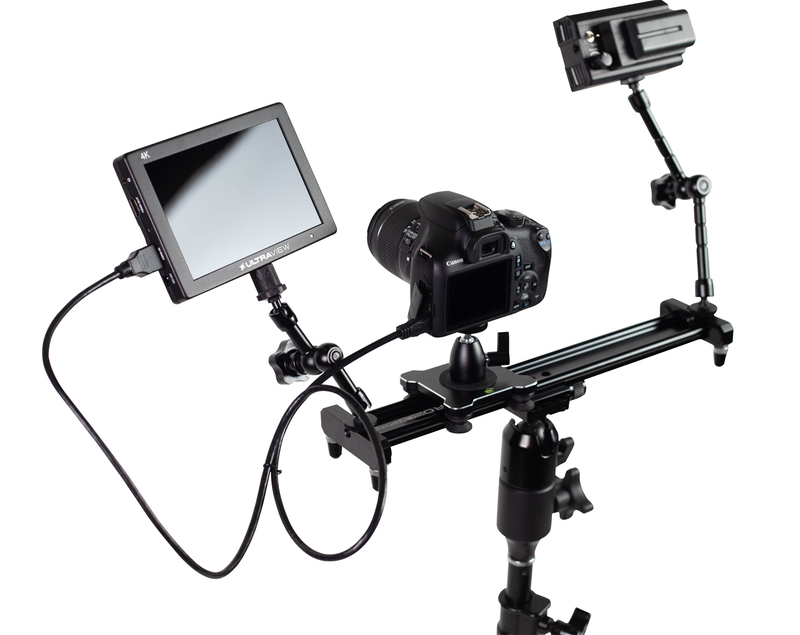 Product ships with Power Cable, 1 Hot Shoe Mount, 1 HDMI cable and 1 Allen hex key so you can get connected and up and running immediately. Onscreen controls include your standard brightness and contrast along with more pro features such as zebra pattern, safe zone zoom,,Picture-in-Picture (PIP), screen markers, sound and much more. 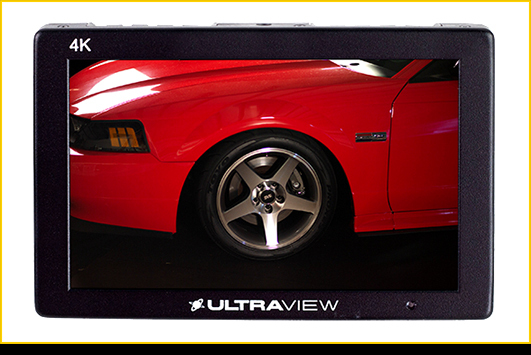 The compact size, high resolution and affordability of the ULTRAVIEW Monitor comes with a range of professional inputs and features. 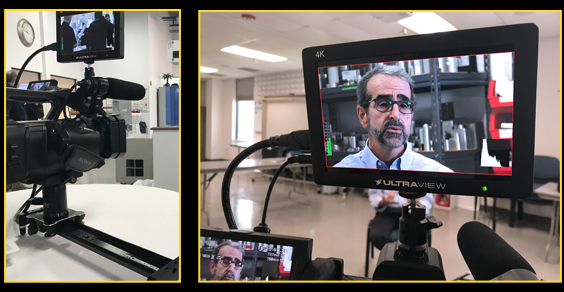 The ability to display the output from todays highest resolution 4k cameras can help keep your shots sharp, perfectly framed, and in focus. 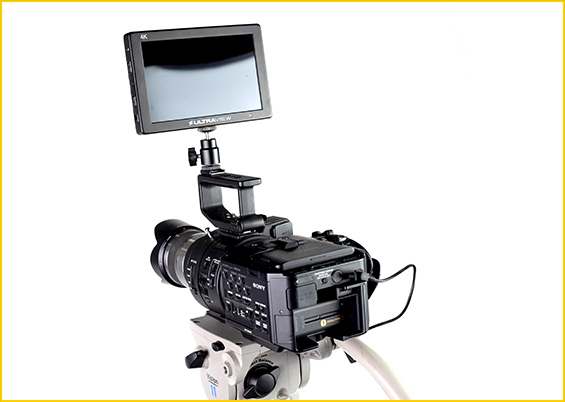 Step back from the camera eyepiece or onboard monitor to frame and capture the action with confidence. 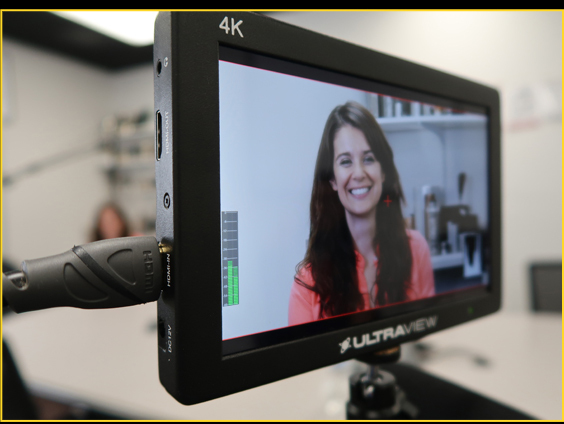 Input resolution support: The UltraView 4K can accommodate frame rates and resolution of virtually every 4K & HD camera currently on the market. AC/DC capability: Accepts 110v current via plug in adapter (not included) / DC uses the Sony-style NP-F batteries via the F970 included plate. I currently shoot both 4K and HD. Will this unit work for me? Yes. 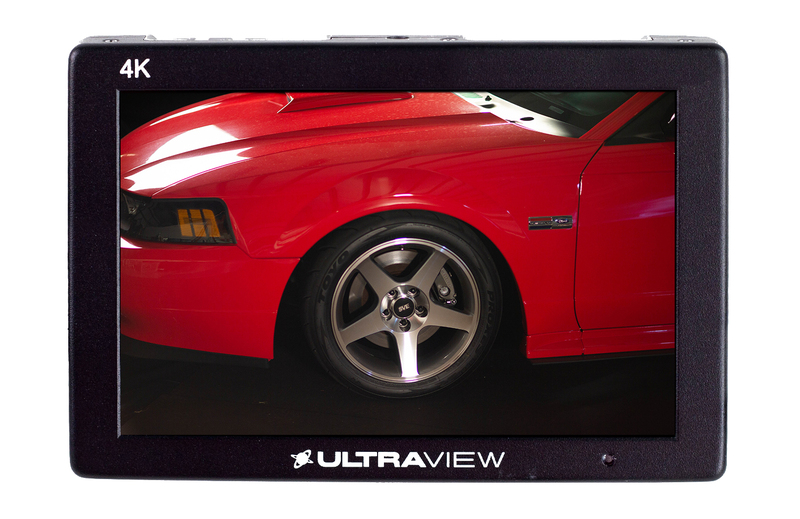 The UltraView 4K can accommodate frame rates and resolution of virtually every camera currently on the market. 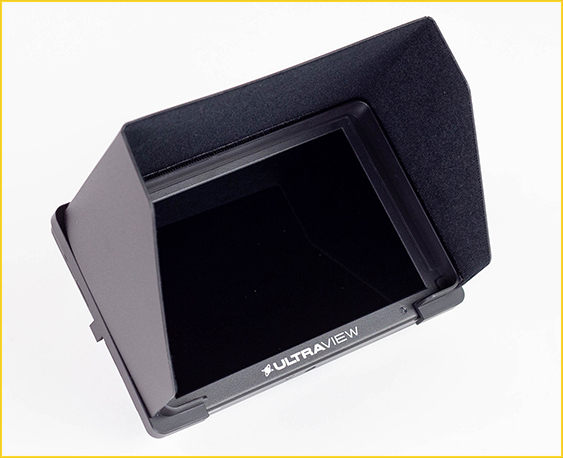 Does the UltraView 4K have a way to assist with focusing? What will I need to power the unit on set? 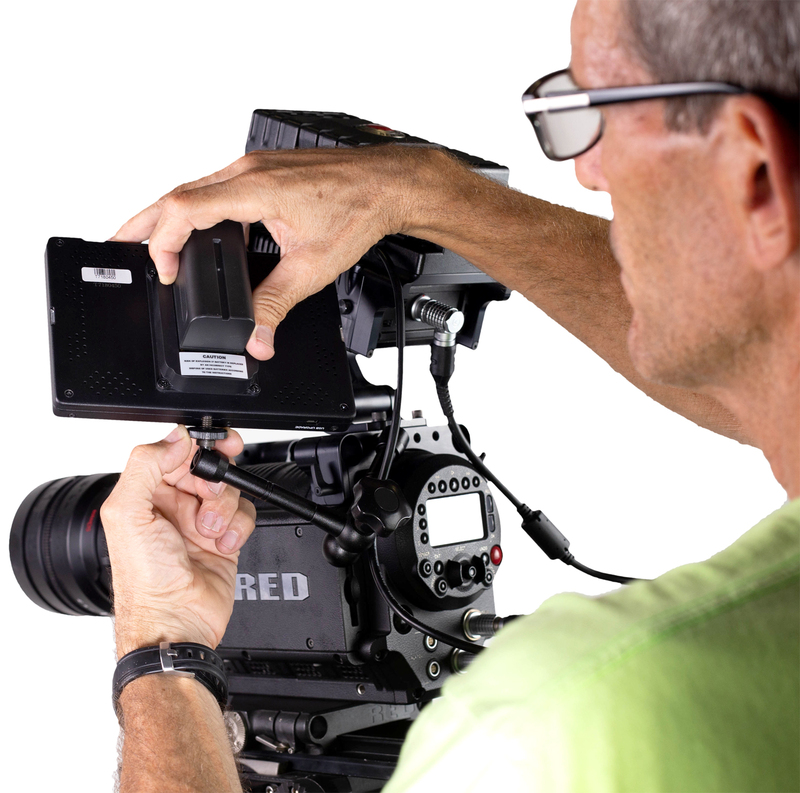 The unit comes with a Sony-style F970 battery plate. 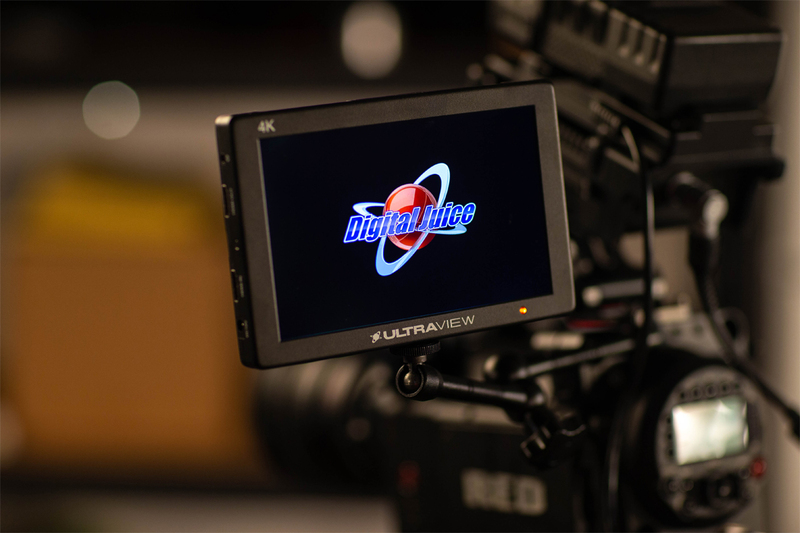 Medium sized footprint at 7"
Introducing the Digital Juice 4K UltraView, our latest monitor, that can accommodate the frame rates and resolutions of virtually every 4K & HD camera currently on the market. Ultra High Resolution Capability Transitions easily between multiple formats including HD and 4K. Universal HDMI input Universally used on most consumer and production equipment. Accepts Sony Style NP batteries Very popular style battery. Available everywhere. 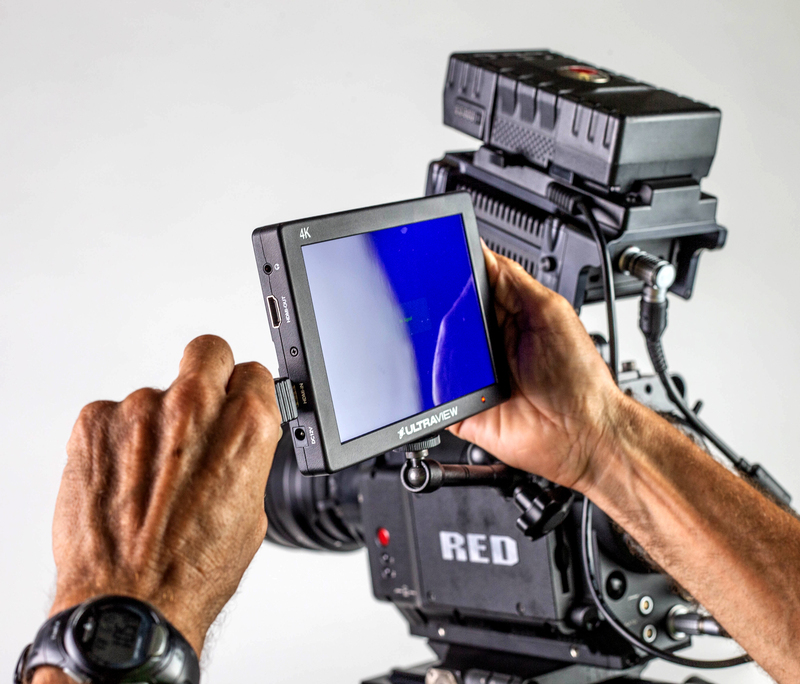 On screen production modes Various modes to help focus and dial in colors such as Histogram, Magnification. Sunshade included Makes outdoor use possible. 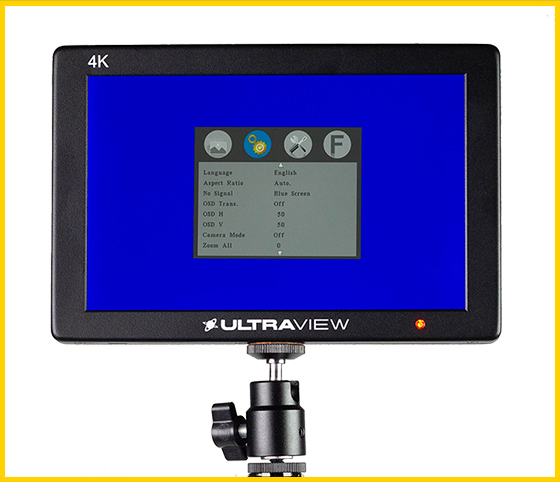 Input resolution support The UltraView 4K can accommodate frame rates and resolution of virtually every 4K & HD camera currently on the market. 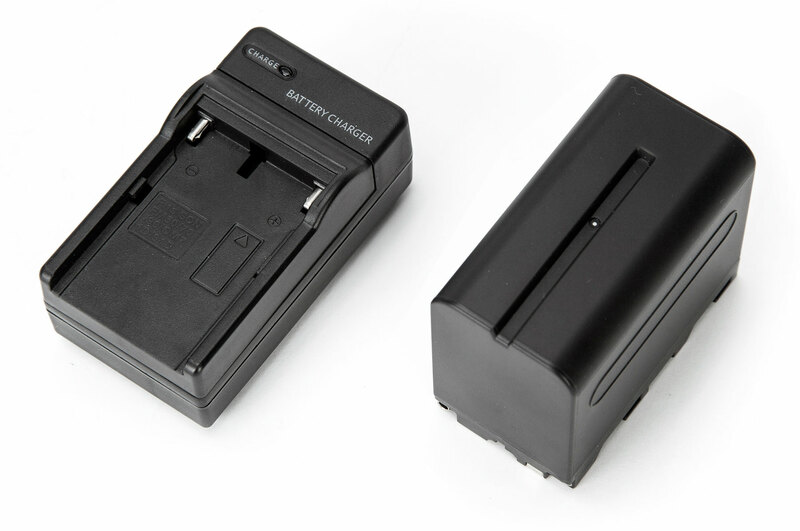 AC/DC capability Accepts 110v current via plug in adapter (not included) / DC uses the Sony-style NP-F batteries via the F970 included plate. 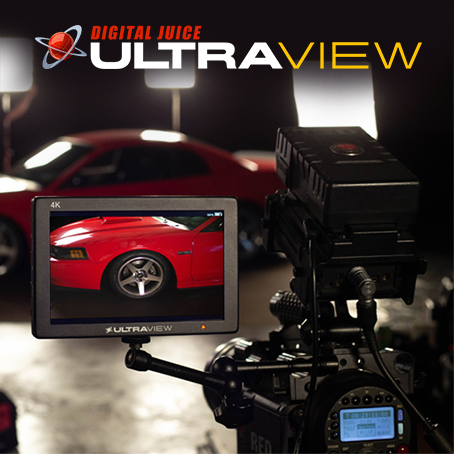 The Digital Juice 4K UltraView features a native display resolution of 1920x1200. It can display signals without scaling, while it scales higher and lower resolution content to fit the screen. The IPS screen allows for off-axis viewing of 80° up/down/left/right, and features a brightness of 450 cd/m2 with a contrast ratio of 1200:1. 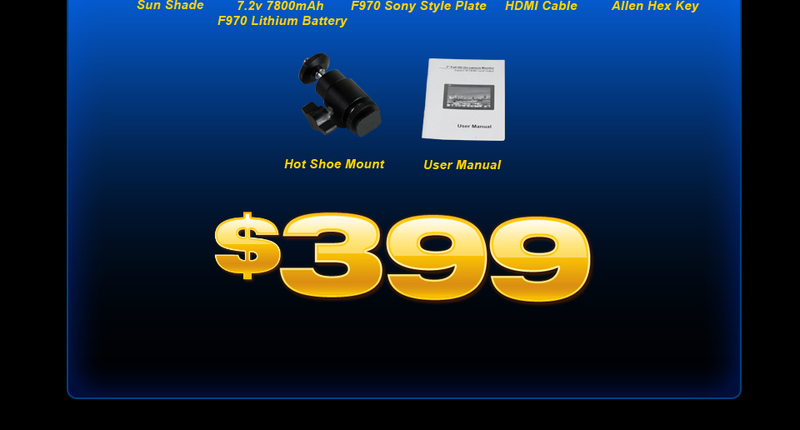 The monitor incorporates an HDMI input and output. 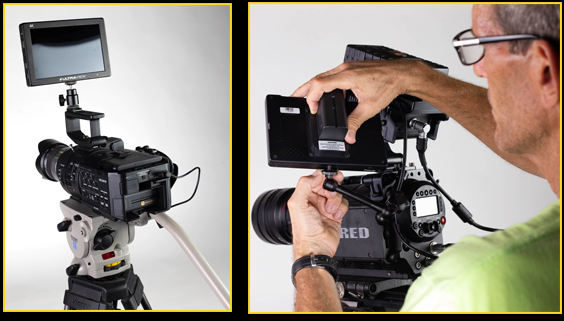 The T756 features useful functions into its small size including peaking, zoom, pixel mapping, anamorphic de-squeeze, frame lines, markers, and image flip. 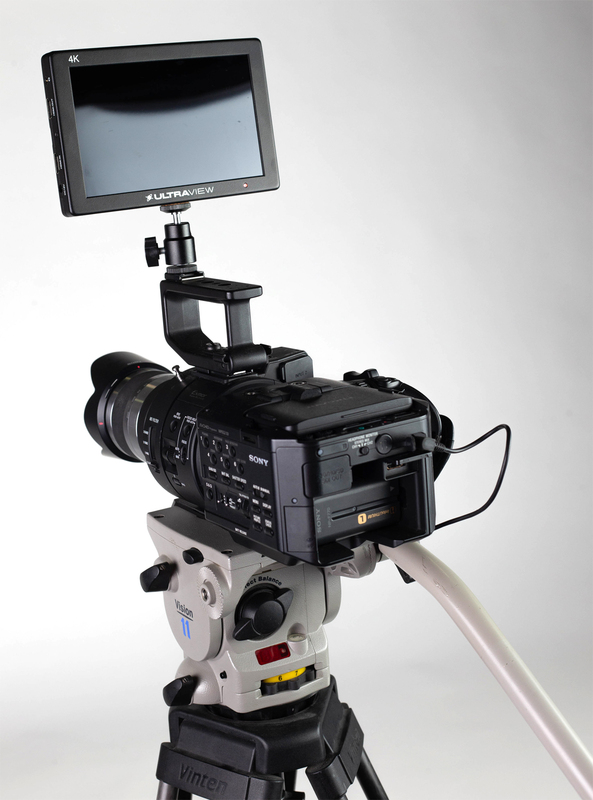 The monitor includes a Mini HDMI to HDMI cable, sunshade, shoe mount adapter, and L-series type battery plate.